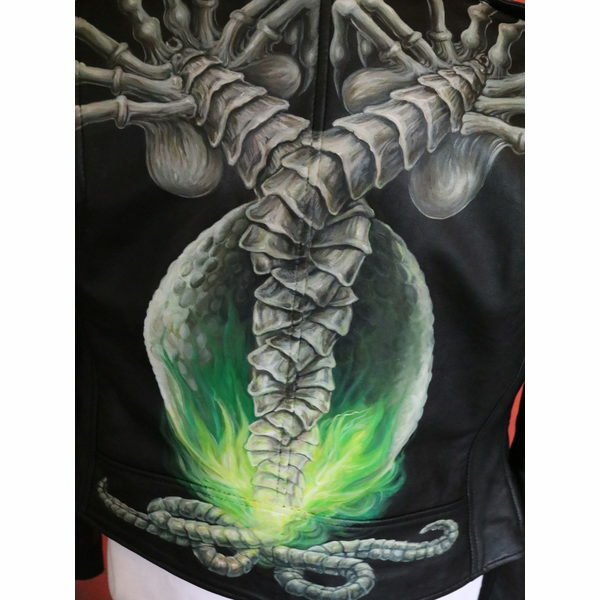 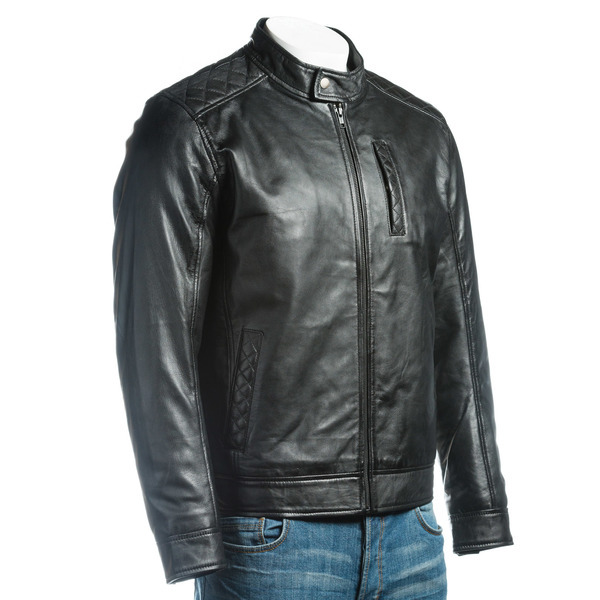 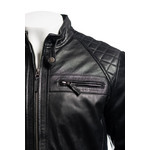 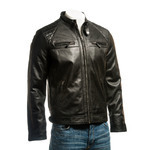 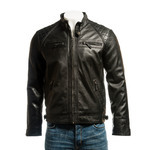 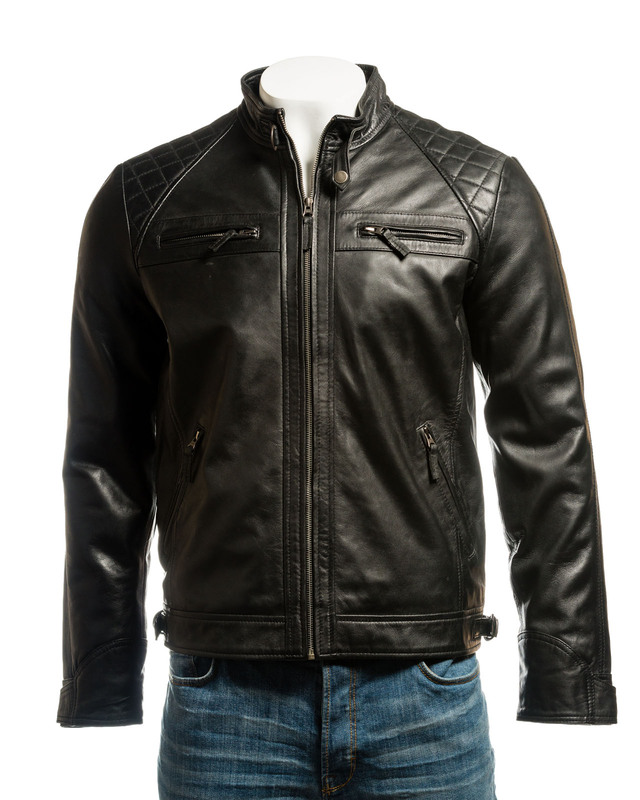 This is a super soft and lightweight slim fit biker style jacket featuring diamond stitch work on the raglan style shoulders. 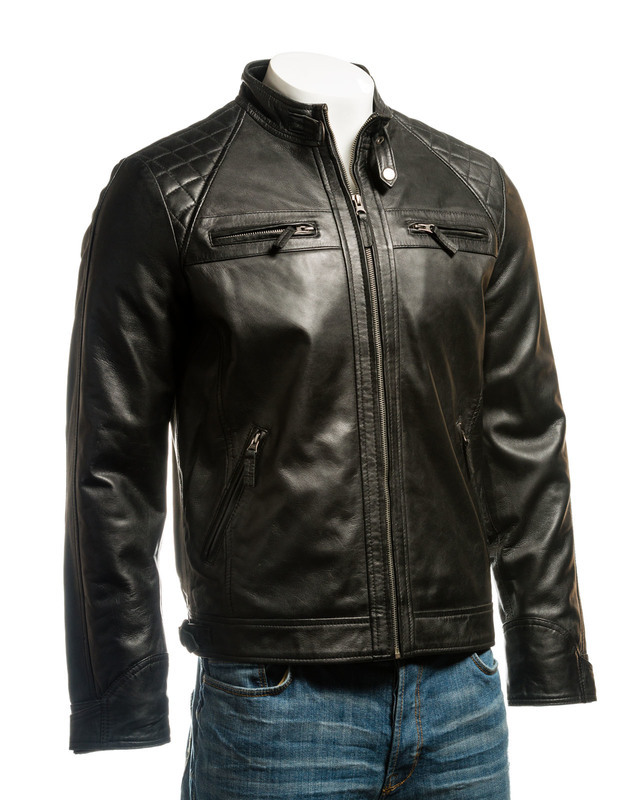 The jacket features a sturdy YKK zip and standup collar with buckle-loop fastening, and four pockets to the front, all featuring zip fasteners. 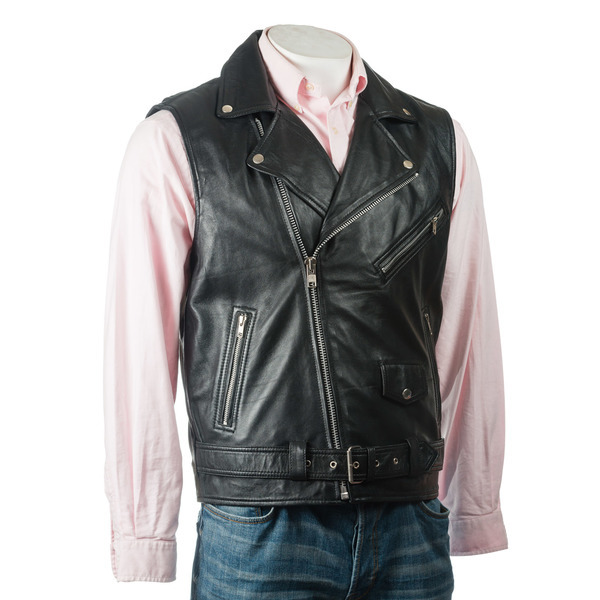 On the sleeves you find elbow patches and an unusual asymmetric adjustable stud-fastening cuff. 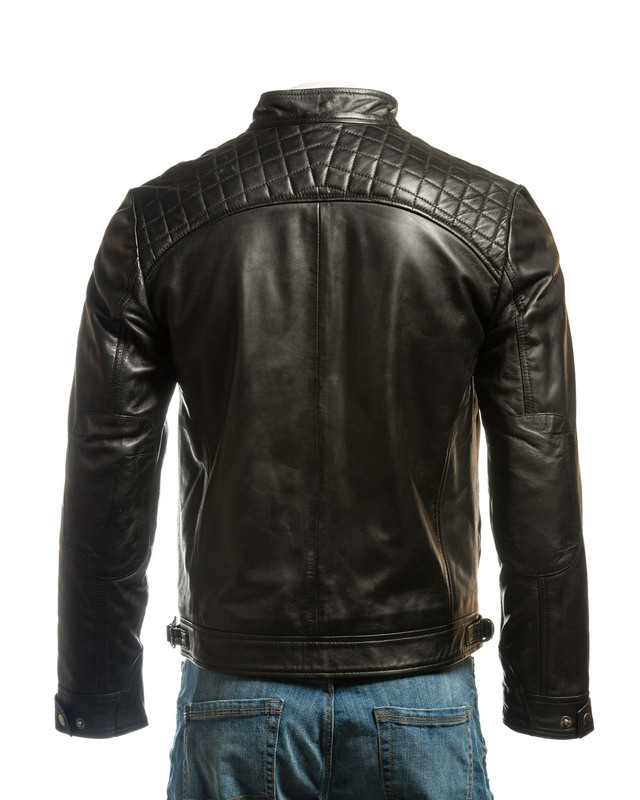 The diamond top stitch detail continues across the top of the back of the jacket and the inside is beautifully lined with a further two leather trimmed pockets, one of which is zipped for additional security. 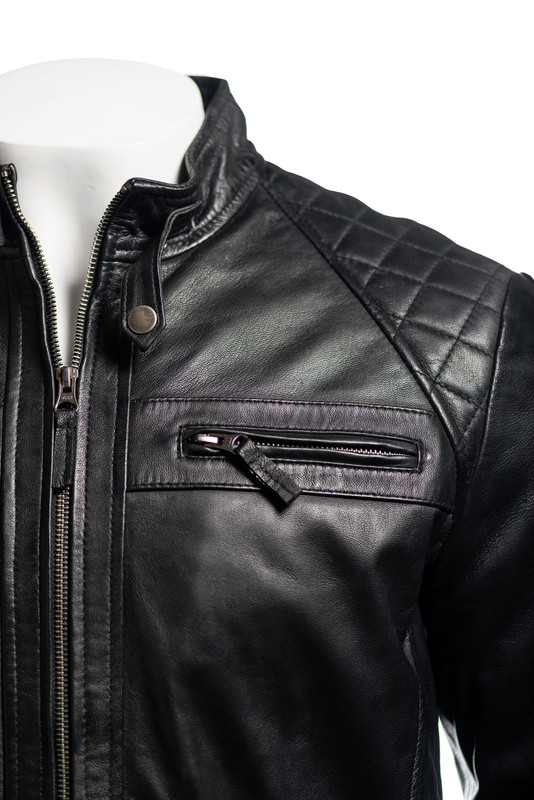 The waist also features adjustable buckle-loop fasteners. 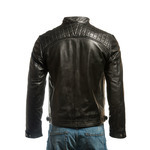 Available in black and olive brown, this classic combines style and quality at a superbly affordable price.